The information we learn from customers helps us personalize and continually improve your shopping experience at ladygouldianfinch.com . Information You Give Us: We receive and store any information you enter on our Web site or give us in any other way. You can choose not to provide certain information, but then you might not be able to take advantage of many of our features. We use the information that you provide for such purposes as responding to your requests, customizing future shopping for you, improving our business, and communicating with you. Automatic Information: We receive and store certain types of information whenever you interact with us. For example, like many Web sites, we use "cookies," and we obtain certain types of information when your Web browser accesses ladygouldianfinch.com. E-mail Communications: To help us make e-mails more useful and interesting, we often receive a confirmation when you open e-mail from ladygouldianfinch.com if your computer supports such capabilities. 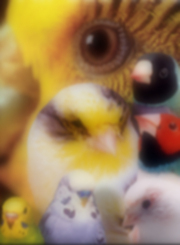 If you do not want to receive e-mail or other mail from us, please follow the unsubscribe instructions at the bottom of any e-mail message you receive from ladygouldianfinch.com . Cookies are alphanumeric identifiers that we transfer to your computer's hard drive through your Web browser to enable our systems to recognize your browser and to provide certain features and improve our business. Information about our customers is an important part of our business, and we are not in the business of selling it to others. We share customer information only with reputable corporate partners. Third-Party Service Providers: We may employ other companies and individuals to perform functions on our behalf. Examples include but are not limited to, fulfilling orders, delivering packages, sending postal mail and e-mail, removing repetitive information from customer lists, analyzing data, providing marketing assistance, providing search results and links (including paid listings and links), processing credit card payments, and providing customer service. They have access to personal information needed to perform their functions. Business Transfers: As we continue to develop our business, we might sell or buy other companies, subsidiaries, or business units. In such transactions, customer information generally is one of the transferred business assets. Also, in the unlikely event that ladygouldianfinch.com , or substantially all of its assets are acquired, customer information will of course be one of the transferred assets. Protection Of ladygouldianfinch.com and Others: We release account and other personal information when we believe release is appropriate to comply with the law; enforce or apply our Terms of Service and other agreements; or protect the rights, property, or safety of ladygouldianfinch.com, our users, or others. This includes exchanging information with other companies and organizations for fraud protection and credit risk reduction. As discussed above, you can always choose not to provide information, even though it might be needed to make a purchase or to take advantage other ladygouldianfinch.com products and features. ladygouldianfinch.com does not sell products for purchase by children. Any children's products we may sell are for purchase by adults. Children may only use our website with consent from their guardian. 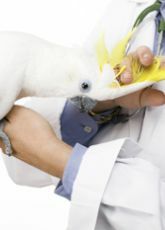 If you choose to visit ladygouldianfinch.com , your visit and any dispute over privacy is subject to this Policy and our Terms of Service, including limitations on damages, arbitration of disputes, and application of the law of the state of California. You provide such information when you search, buy, post, participate in a contest or questionnaire, or communicate with customer service. 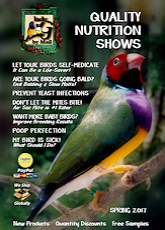 For example, you provide information when you search for a product; place an order with that ladygouldianfinch.com or one of our third-party sellers; provide information by filling out a form; communicate with us by phone, e-mail, or otherwise; complete a questionnaire or a contest entry form; provide reviews. As a result of those actions, you might supply us with such information as your name, address, and phone numbers; credit card information; people to whom purchases have been shipped, including addresses and phone number; e-mail addresses. Examples of information we receive from other sources include updated delivery and address information from our carriers or other third parties, which we use to correct our records and deliver your next purchase or communication more easily; account information, purchase or redemption information, and page-view information from some merchants with which we operate co-branded businesses or for which we provide technical, fulfillment, advertising, or other services; search term and search result information from some searches conducted through the Web search features offered by our subsidiaries; search results and links, including paid listings (such as Sponsored Links).